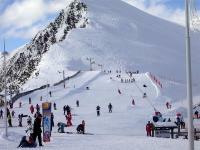 The resort, born out of the fusion of Saint-Lary and Soulan in 1960, is in the Aure valley in the High Pyrenees. It is located near two peaks of more than 3000 metres, the Pic Long and Néouvielle. Lovers of high altitude scenery will be delighted! The small village guarantees an authentic atmosphere and warm welcome. No bells and whistles here, just a calm, peaceful atmosphere. 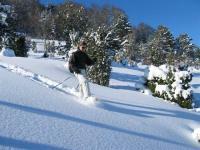 All the pistes are accessible via large and small cable cars. 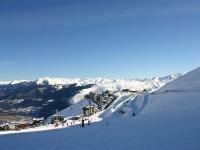 Saint-Lary Soulan is split into four parts: Saint-Lary village. 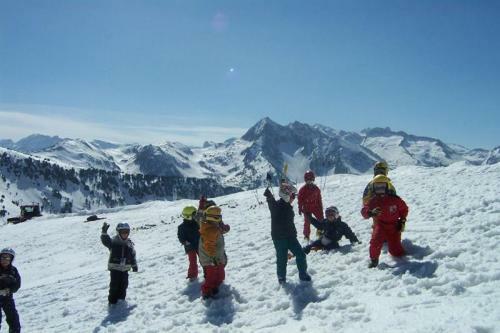 Saint-Lary 1700 (Pla d' Adet) suited to family skiing with its “Jardin des Neiges” for children, a toboggan track and a fun park (the “KIDPARK”). Saint-Lary 1900 (Espiaube) is an area for experienced skiers. Lastly, Saint-Lary 2400 is a “must” for lovers of all the latest snow sports. To be sure of having the best ski equipment available contact our snowsports hire at Saint-Lary Soulan.